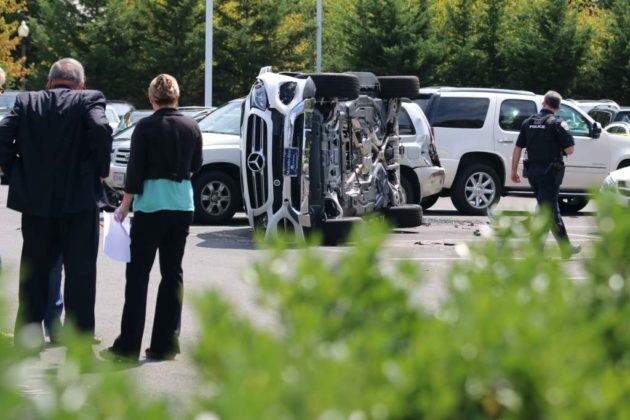 A woman in brand new Mercedes-Benz SUV somehow managed to run into several parked cars and flip the SUV just seconds into a test drive. 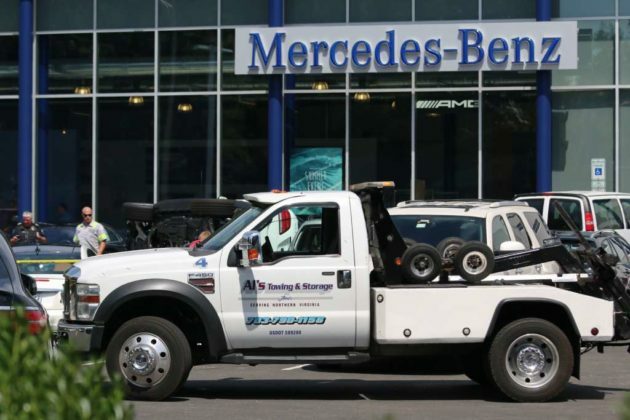 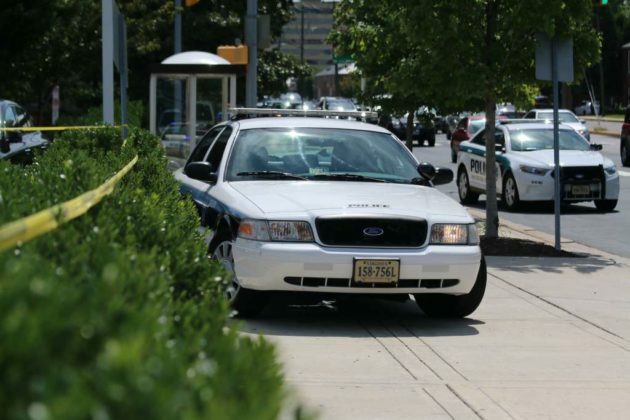 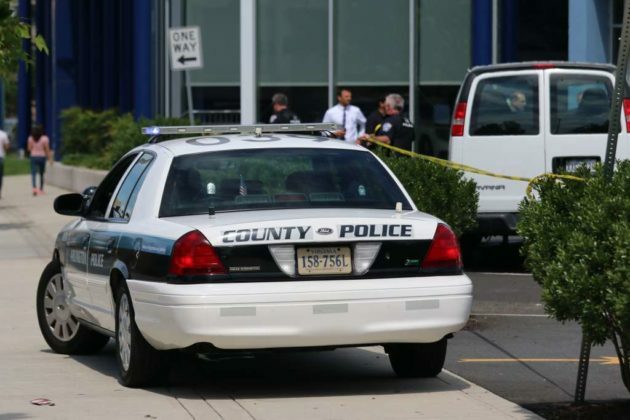 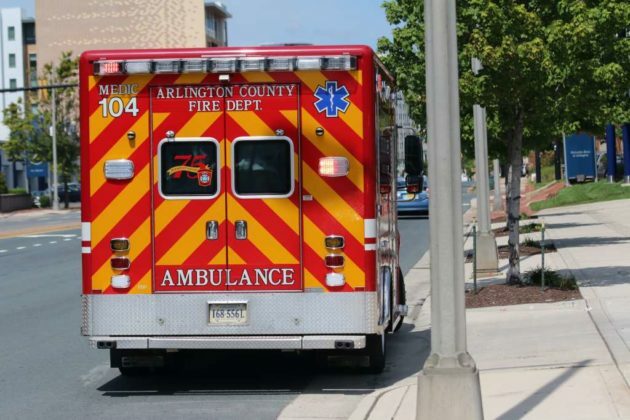 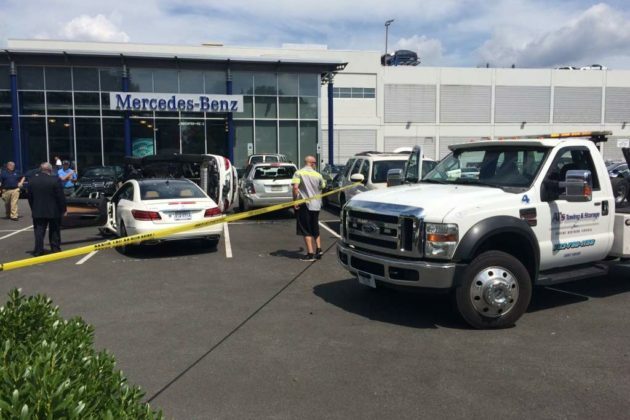 The incident happened just before 11:30 a.m., at the Mercedes dealership on N. Glebe Road in Ballston. 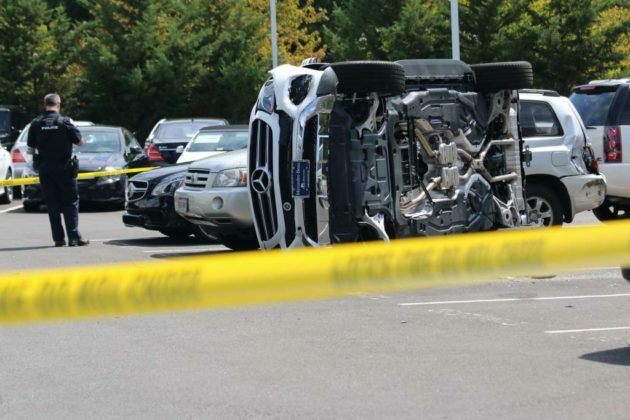 We’re told that the driver was just beginning a test drive, in the dealership parking lot, and might have mistaken the gas pedal for the brake. 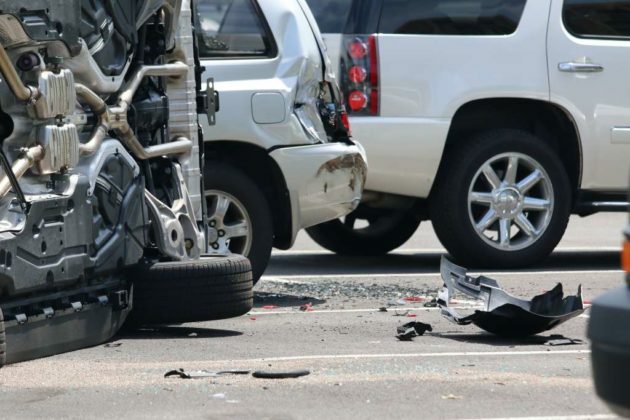 She crashed into four vehicles before the SUV rolled onto its side. 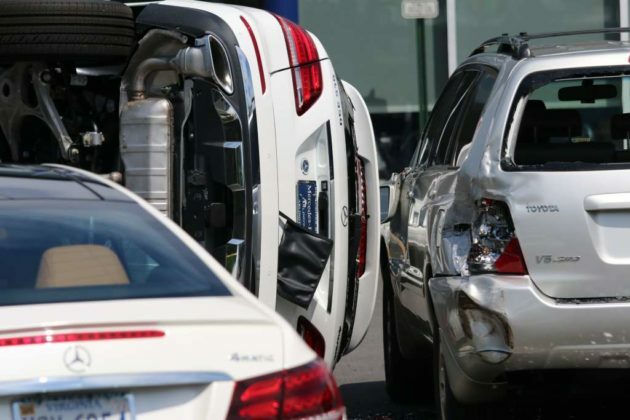 Four people who were in the SUV at the time managed to get out before police and firefighters arrived, we’re told. 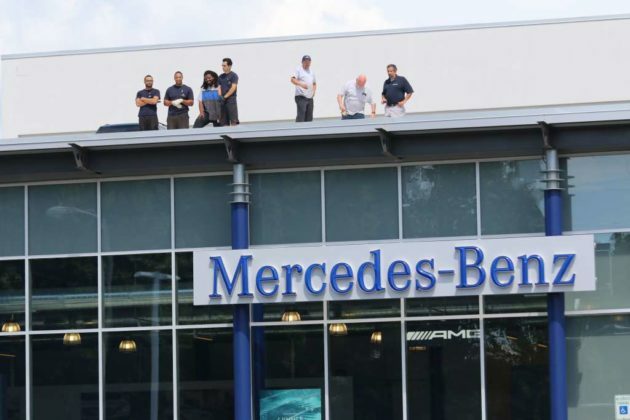 One dealership worker was evaluated by medics for a possible back injury. 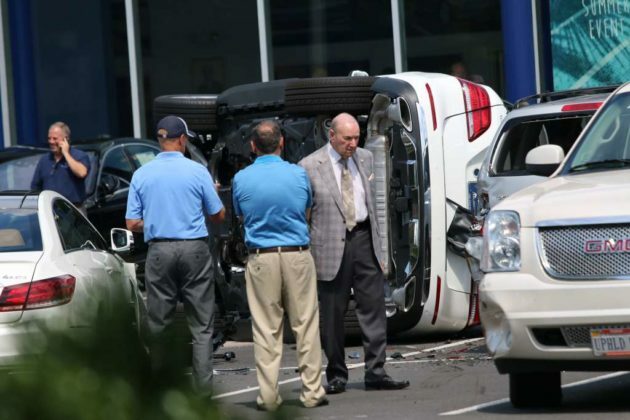 No one was seriously hurt.